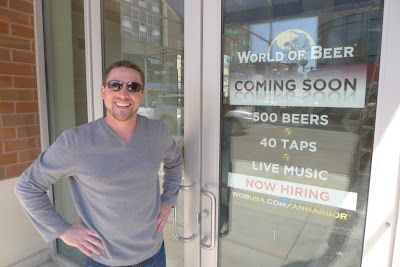 World of Beer co-owner Chad Wilson hopes to attract a more sophisticated kind of beer lover to South U when he and Steve Rossi's 40-tap bar opens in June. 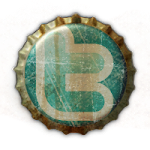 It's a beery world. Everywhere you look there are people enjoying a brew at a sidewalk table, in a blooming beer garden, or on a rooftop patio. And why not? The warm weather finally appears to be here to stay, and it's time to take full advantage. Your Week in Beer is here to help you navigate the marvelous world of beer just outside your doorstep. » Bill's Beer Garden, 218 S. Ashley, is officially open for the season, 7-11 p.m. Thursday through Saturdays and 5-9 p.m. Sundays. Later in the season, the hours and days expand. Check their website for more info and an updated tap list. On an unrelated note, Violin Monster is back in town, and I am still agitating for him to play a gig at Bill's! How about it, guys? » Buckle up your shopping cart seatbelts as Michigan brewery happy hour returns to Whole Foods Cranbrook, 990 W. Eisenhower, for the second week in a row. From 5-7 p.m., belly up to the Wine and Beer Bar and enjoy multiple taps of TBD beers from Battle Creek’s Arcadia Brewing. Full glasses are $3 and samples are $1, so how could you possibly go wrong? » Today is like Christmas for homebrewers: the annual American Homebrewers Association Big Brew in honor of National Homebrew Day (which is actually May 7). 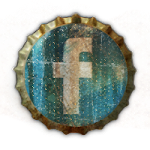 Adventures in Homebrewing, 6071 Jackson, is hosting a huge brewing demo event befitting the occasion that includes celebrity (to homebrewers) guests Chris White of White Labs and John Blichmann of Blichmann Engineering. More details at homebrewing.org. » Farther afield, the Sons of Liberty club is hosting a homebrewing demo outside of Liberty Street Brewing, 149 W. Liberty, Plymouth, from 10 a.m. to 4 p.m. The South Lyon Area Brewers (SLAB) club are doing likewise outside of Witch’s Hat Brewing, 22235 Pontiac Trail, South Lyon, beginning at 2 p.m.
» Farther farther afield, Ashley’s plays host to their sixth (and largest yet) Michigan Cask Ale Festival at the Westland location, 7525 Wayne Rd. More than 30 casks of real ale will be pouring outside in the (we hope) warm spring sunshine, including one-offs like Admiral Ashley’s Imperial Fugglicious English IPA, brewed by Short’s to commemorate Ashley’s 30th year in business. Others of note include Arbor Brewing’s Sodibo Sour Blonde Ale and the Arbor/Brouwerij de Musketiers (Troubadour) collaborative Mundus Novus Rye Chocolate Dubbel and a Liberty Street/Sherwood Brewing collaboration, Resinator Doppelbock. Tickets are $35 at the door. More information, including the full list of beers, is available here. » Little darlin’, it’s been a long, cold, lonely winter, but warm halcyon days are here again. Halcyon Sundaze returns from hibernation for the summer season in the beer garden at Corner Brewery, 720 Norris, Ypsilanti, and, as it also happens to Cinco de Mayo, look for a special Mexican-themed menu along Casa Grande Dark Vienna Lager on tap. Relaxing tunes provided by the coolest DJs commence at 2 p.m. and go until the noise ordinance kicks in, sometime around 9ish. Bonus: Say goodbye to Arbor/Corner brewing alums Bill Gerds and Aaron Stryker as they prepare to move on to their next brewing adventures. » People, get ready! The Detroit Draft Divas are celebrating Mexico’s victory over something or other with a downtown Ann Arbor pub crawl, to begin at noon at Jolly Pumpkin Cafe & Brewery, 311 S. Main. From there, Grizzly Peak, Blue Tractor, and Arbor Brewing are all on the schedule followed by a visit to Tio’s, 401 E. Liberty, for a New Holland Cinco de Mayo beer and spirits celebration and, if anyone is still standing, Ashley’s and maybe even Dominick’s. Viva la cerveza! » Down in Milan, Original Gravity, 440 County, is hosting the official afterparty for the annual Cone Azalia dirt bike race, which includes live music on the patio from 2-4 p.m. and Cone Azalia Red Ale, a 4.7% beer brewed with German and American hops and a hefty dose of Vienna malt. » New Belgium Brewing takes over the taps of the Wurst Bar, 705 W. Cross, Ypsilanti, beginning at 6 p.m. Six brews including the ever-present Fat Tire Amber Ale, Rolle Bolle Summer Ale, Shift Pale Lager, Rampant Imperial IPA, Imperial Coffee Stout, and La Folie Sour Brown Ale will be pouring. Need I say more? » At the Grizzly Peak Den, 122 W. Washington, Brewer’s Night rocks the house from 6-9 p.m. with beer sampler specials, brewhouse tours (see the new Old German under construction!) from head brewer Duncan Williams or one of his minions, and a cask of something special on the bar: This time, the fabulous Le Poisson Rouge, a wood-aged version of Grizzly standard Steelhead Red Ale. Vive la biere! » Beers from the middle of the Mitten take center stage at the Jet’s Pizza Sportsroom, 506 N. Main, Chelsea, as six taps are given over to Mount Pleasant Brewing beginning at 5 p.m. As of this writing, no list of brews is available, but I bet if you go there you can find out – and even be able to ask a brewery rep all about what you’re drinking. » Although not necessarily beer-oriented, the Ann Arbor/Ypsilanti Regional Chamber’s 4th semi-annual Grub Crawl from 6-9 p.m. includes several of Ypsilanti’s most beer-friendly (Corner Brewery, Sidetrack Bar & Grill, Red Rock Downtown Barbecue, etc.) stops. Tickets are $20 for adults and $5 for children under 12, who obviously can’t drink any beer but can instead learn all about their parents’ vices firsthand. To register and for more information, go here. » Arbor Brewing’s monthly tasting series focuses on malty bocks, doppelbocks, and Trappist ales from 7-9 p.m. You know the drill: more than two dozen beers, tasting notes, appetizer buffet, and swag drawings to cap off the night — all for a mere $25 in advance (or $30 the day of). Call 734-213-1393 or pick up your ticket at the pub. Two more beer dinners for your calendar, but they’re both on May 22 so a decision is in order. 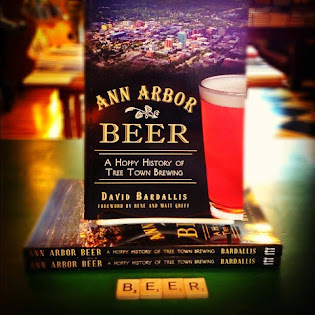 Arbor Brewing beers will be featured at the Lake Street Tavern, 127 E. Lake St., South Lyon, while Terry B’s, 7954 Ann Arbor St., Dexter, teams up with Bell’s for a spring/summer feast. Call Lake Street at 248-446-8898 or Terry B’s at 734-426-3727 for more information or to reserve. 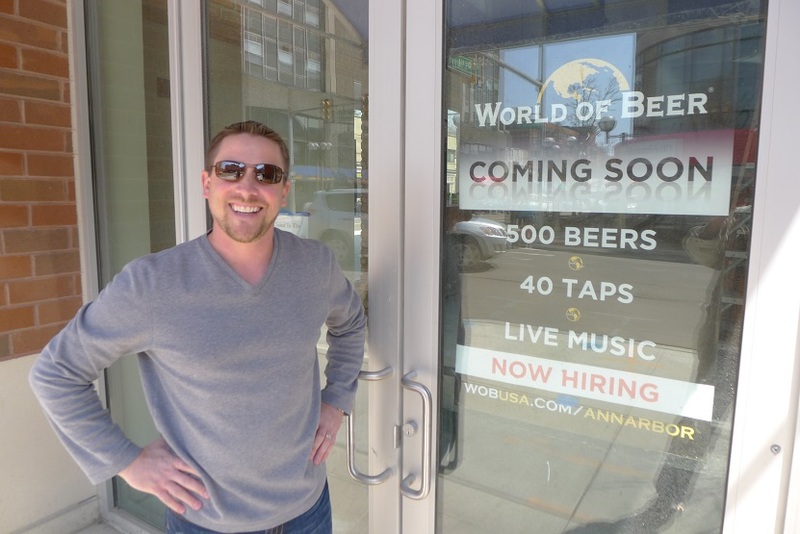 June 17 is the current target date for the grand opening of World of Beer, now under construction on the first floor of the Landmark student high-rise on the corner of South University and S. Forest. Michigan alums Chad Wilson and Steve Rossi plan to offer 40 craft brews on tap (many of them Michigan beers) as well as 500 bottled selections in an area not exactly known for discriminating beer taste. Wilson, who with Rossi is a veteran restaurateur, hopes their higher standards will coax traffic from downtown and other areas as well as cater to the students who do appreciate good brew. Live music and an outdoor bar are part of their strategery as well. AnnArbor.com business reporter Lizzy Alfs has the full story.